Goats are hearty souls. They have served mankind longer than cattle and sheep, and apparently can survive on bushes, trees, desert scrub, and herbs (not to mention a few tin cans) when other animals would surely starve to death. 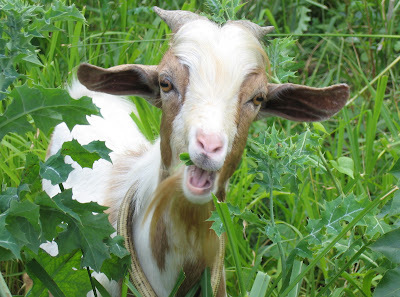 Calling someone “ma bichette” or “my little goat” in French is meant as a term of endearment. This all makes sense to us. So, here’s to the little goat, an endearing, adaptable and wise survivor!